This whole section is dedicated to learning how to say “if” in Japanese. Oh, if only it was as simple as English. In Japanese, there’s four (count them, four) ways to say “if”! Thankfully, the conjugations are sparse and easy especially since you don’t have to deal with tenses. We’ll first cover the simplest type of “if” which is the natural consequence conditional. This means that if [X] happens, [Y] will happen as a natural consequence. No question about it. If I drop a ball, it will fall to the ground. If I turn off the lights at night, it will get dark. We can express this type of condition in the following format. If you drop the ball, it will fall. If you turn off the lights, it will get dark. These examples are designed to show how 「と」 is used to express natural consequence. However, even if the statement isn’t a natural consequence in itself, the 「と」 will tell the audience that it is nevertheless expected to be a natural consequence. If you don’t go to school, you can’t meet your friends. If you eat a lot, you will get fat, for sure. If he’s a teacher, he must be older for sure, right? The “for sure” part is the implied meaning supplied by the 「と」. The speaker is saying that the following condition will occur in that situation, no matter what. As you can see from the last example, if the condition is a state-of-being, it must be expressed so explicitly using 「だ」. This applies to all non-conjugated nouns and na-adjectives as I’m sure you’re used to by now. This will also help prevent confusion with other types of 「と」. In a sense, you are explaining what would occur if you assume a certain condition is satisfied. In other words, you are saying “if given a certain context, here is what will happen.” You will see this reflected in the English translations as the phrase “if given” in the examples. The 「なら」 is attached to the context in which the conditional occurs. The format is the same as the 「と」 conditional, however, you must not attach the declarative 「だ」. You must not attach the declarative 「だ」. If given that everybody is going, then I’ll go too. If given that Alice-san says so, there’s no problem. Alice: Where is the library? Bob: If given that you’re talking about the library, then it’s over there. You can also decide to use 「ならば」 instead of just 「なら」. This means exactly the same thing except that it has a more formal nuance. The next type of conditional just expresses a regular “if” condition without any assumptions or embedded meanings. The conjugation rules for the 「ば」 conditional is below. Note, the conjugation rule for nouns and na-adjectives is actually using the verb 「ある」 in 「である」, a formal expression we’ll learn much later. For i-adjectives or negatives ending in 「ない」: Drop the last 「い」 and attach 「ければ」. If I can meet with my friend, we will go shopping. If I had money, it would be good, huh? If it’s fun, I’ll go too. If it’s not fun, I’ll also not go. If you don’t eat, you will become sick. I call this next conditional the past conditional because it is produced by taking the past tense and just adding 「ら」. It is commonly called the 「たら」 conditional because all past-tense ends with 「た／だ」 and so it always becomes 「たら／だら」. Like the 「ば」 conditional, it is also a general conditional. If I am free, I will go play. If you’re a student, you can buy with a student discount. For i-adjectives and verbs, it is very difficult to differentiate between the two types of conditionals, and you can make life easier for yourself by considering them to be the same. However there is a small difference in that the 「たら」 conditional focuses on what happens after the condition. This is another reason why I call this the past conditional because the condition is “in the past” (not literally) and we’re interested in the result not the condition. The 「ば」 conditional, on the other hand, focuses on the conditional part. Let’s compare the difference in nuance. A: We will go shopping, if I can meet with my friend. B: If I can meet with my friend, we will go shopping. A: It would be good, if I had money, huh? B: If I had money, it would be good, huh? Going by the context, the 「～たら」 form sounds more natural for both examples because it doesn’t seem like we’re really focusing on the condition itself. We’re probably more interested in what’s going to happen once we meet the friend or how nice it would be if we had money. The past conditional is the only type of conditional where the result can be in the past. It may seem strange to have an “if” when the result has already taken place. Indeed, in this usage, there really is no “if”, it’s just a way of expressing surprise at the result of the condition. This has little to do with conditionals but it is explained here because the grammatical structure is the same. You can also use 「たらば」 instead of 「たら」. Similar to 「ならば」, this means exactly the same thing except that it has a more formal nuance. How does 「もし」 fit into all of this? Some of you may be aware of the word 「もし」 which means “if” and may be wondering how it fits into all of this. Well, if you want to say a conditional, you need to use one of the conditionals discussed above. 「もし」 is really a supplement to add a sense of uncertainty on whether the condition is true. For instance, you might use it when you want to make an invitation and you don’t want to presume like the following example. If by any chance it’s ok with you, go to watch movie? We can use the verbs 「する」 and 「なる」 in conjunction with the 「に」 particle to make various useful expressions. We are used to using the object particle with 「する」 because something is usually done to something else. We will see how the meaning changes when we change the particle to 「に」. As for 「なる」, it is always used with the 「に」 particle because “becoming” is not an action done to something else but rather a target of change. The only grammatical point of interest here is using 「なる」 with i-adjectives and verbs. As already explained, using 「なる」 with nouns and na-adjectives presents nothing new and acts pretty much the way you’d expect. His Japanese has become skillful. I will become a famous person. For adjectives, using the verb 「する」 with the 「に」 particle is just a review back to the lesson on adverbs. However, for nouns, when you use the verb 「する」 with the 「に」 particle, it means that you are going to do things toward something. This changes the meaning of 「する」 to mean, “to decide on [X]”. This is a common expression to use, for instance, when you are ordering items on a menu. There are a lot of other good things, but as I thought, I’ll go with this one. If you think this expression is strange, think about the English expression, “I’ll go with the hamburger.” Exactly where are you going with the hamburger? Because the 「に」 particle is a target particle that is used for nouns and by extension na-adjectives, we need to use something else to show that something is becoming an i-adjective. Since “becoming” expresses a change in state, it makes sense to describe this process using an adverb. In fact, you’ll notice that we were already using adverbs (of a sort) in the previous section by using 「に」 with na-adjectives. Your height has gotten taller from last year, huh? I will become stronger because I am exercising. You may be wondering how to use 「なる」 and 「する」 with verbs since there’s no way to directly modify a verb with another verb. The simple solution is to add a generic noun such as a generic event: こと （事） or an appearance/manner: よう （様）. These nouns don’t refer to anything specific and are used to describe something else. In this case, they allow us to describe verbs in the same manner as nouns. Here are some examples of how to use these generic nouns with 「する」 and 「なる」. You can modify a verb with 「なる」 or 「する」 by first making it into a noun clause and then treating it just like a regular noun. Pretty clever, huh? I hope the literal translations give you a sense of why the example sentences mean what they do. For instance, in the fourth example, 「～ようにする」 translates into “to make an effort toward…” but in Japanese, it’s really only a target towards acting in a certain manner. Since potential verbs describe a state of feasibility rather than an action (remember, that’s why the 「を」 particle couldn’t be used), it is often used in conjunction with 「～ようになる」 to describe a change in manner to a state of feasibility. Let’s take this opportunity to get some potential conjugation practice in. After coming to Japan, I became able to eat sushi. Because I practiced for one year, I became able to play the piano. After going underground, Fuji-san became not visible. In Japanese, the ability to do a certain action is expressed by conjugating the verb rather than adding a word such as the words “can” or “able to” in the case of English. All verbs conjugated into the potential form become a ru-verb. For ru-verbs: Replace the 「る」 with 「られる」. For u-verbs: Change the last character from a / u / vowel sound to the equivalent / e / vowel sound and add 「る」. ※Remember that all potential verbs become ru-verbs. It is also possible to just add 「れる」 instead of the full 「られる」 for ru-verbs. For example, 「食べる」 becomes 「食べれる」 instead of 「食べられる」. I suggest learning the official 「られる」 conjugation first because laziness can be a hard habit to break and the shorter version, though common, is considered to be slang. It’s unfortunate, but can’t go this weekend. I can’t believe it already. The potential form indicates that something is possible but no actual action is actually taken. While the potential form is still a verb, because it is describing the state of feasibility, in general, you don’t want to use the direct object 「を」 as you would with the non-potential form of the verb. For example the following sentences sound unnatural. Was able to climb Fuji-san. Am able to hold heavy baggage. Are 「見える」 and 「聞こえる」 exceptions? There are two verbs 「見える」 and 「聞こえる」 that mean that something is visible and audible, respectively. When you want to say that you can see or hear something, you’ll want to use these verbs. If however, you wanted to say that you were given the opportunity to see or hear something, you would use the regular potential form. However, in this case, it is more common to use the type of expression as seen in example 3. (It) cleared up today and Fuji-san is visible. Thanks to (my) friend, (I) was able to watch the movie for free. You can see that example 3 uses the generic noun for an event to say literally, “The event of seeing movie was able to be done.” which essentially means the same thing as 「見られる」. You can also just use generic noun substitution to substitute for 「こと」. Here’s some more examples using 「聞く」, can you tell the difference? Notice that 「聞こえる」 always means “audible” and never “able to ask”. I was able to hear his voice for the first time in a long time. The surroundings were noisy and I couldn’t hear what he was saying very well. You can say that something has a possibility of existing by combining 「ある」 and the verb 「得る」 to produce 「あり得る」. This essentially means 「あることができる」 except that nobody actually says that, they just use 「あり得る」. This verb is very curious in that it can be read as either 「ありうる」 or 「ありえる」, however; all the other conjugations such as 「ありえない」、「ありえた」、and 「ありえなかった」 only have one possible reading using 「え」. That kind of situation/event is possible (lit: can exist). That kind of situation/event is not possible (lit: cannot exist). The te-form is incredibly useful as it is used widely in many different types of grammatical expressions. We will learn about enduring states with the 「～ている」 and 「～てある」 form. Even though we have learned various conjugations for verbs, they have all been one-time actions. We will now go over how one would say, for example, “I am running.” We will also learn how to perform an action for the future using the 「～ておく」 expression and to express directions of actions using 「～ていく」 and 「～てくる」. We already know how to express a state-of-being using 「です」, 「だ」, etc. However, it only indicates a one-time thing; you are something or not. This grammar, however, describes a continuing state of an action verb. This usually translates to the progressive form in English except for a few exceptions, which we will examine later. We can make good use of the te-form we learned in the last section because the only thing left to do is add 「いる」! You can then treat the result as a regular ru-verb. This 「いる」 is the same ru-verb describing existence, first described in the negative verb section. However, in this case, you don’t have to worry about whether the subject is animate or inanimate. To describe a continuing action, first conjugate the verb to the te-form and then attach the verb 「いる」. The entire result conjugates as a ru-verb. A: What is friend doing? B: (Friend) is eating lunch. Note that once you’ve changed it into a regular ru-verb, you can do all the normal conjugations. The examples below show the masu-form and plain negative conjugations. A: What are you reading? B: I am reading textbook. B: No, I’m not listening. Since people are usually too lazy to roll their tongues to properly pronounce the 「い」, it is often omitted in conversational Japanese. If you are writing an essay or paper, you should always include the 「い」. Here are the abbreviated versions of the previous examples. Notice how I left the 「い」 alone for the polite forms. Though people certainly omit the 「い」 even in polite form, you might want to get used to the proper way of saying things first before getting carried away with casual abbreviations. You will be amazed at the extensive types of abbreviations that exist in casual speech. (You may also be amazed at how long everything gets in super polite speech.) Basically, you will get the abbreviations if you just act lazy and slur everything together. Particles also get punted off left and right. There are certain cases where an enduring state doesn’t translate into the progressive form. In fact, there is an ambiguity in whether one is in a state of doing an action versus being in a state that resulted from some action. This is usually decided by context and common practices. For example, although 「結婚している」 can technically mean someone is in a chapel currently getting married, it is usually used to refer to someone who is already married and is currently in that married state. We’ll now discuss some common verbs that often cause this type of confusion for learners of Japanese. 「知る」 means “to know”. English is weird in that “know” is supposed to be a verb but is actually describing a state of having knowledge. Japanese is more consistent and 「知る」 is just a regular action verb. In other words, I “knowed” (action) something and so now I know it (state). That’s why the English word “to know” is really a continuing state in Japanese, namely: 「知っている」. 「分かる」 meaning “to understand” may seem similar to 「知る」 in some cases. However, there is a difference between “knowing” and “understanding”. Try not to confuse 「知っている」 with 「分かっている」. 「分かっている」 means that you are already in a state of understanding, in other words, you already get it. If you misuse this, you may sound pompous. (“Yeah, yeah, I got it already.”) On the other hand, 「知っている」 simply means you know something. Do (you) know this song? Yes, yes, I got it, I got it. It is reasonable to assume the actions 「行っている」 and 「来ている」 would mean, “going” and “coming” respectively. But unfortunately, this is not the case. The 「～ている」 form of motion verbs is more like a sequence of actions we saw in the last section. You completed the motion, and now you exist in that state. (Remember, 「いる」 is the verb of existence of animate objects.) It might help to think of it as two separate and successive actions: 「行って」、and then 「いる」. He is already at home (went home and is there now). Appropriately enough, just like there is an 「ある」 to go with 「いる」, there is a 「～てある」 form that also has a special meaning. By replacing 「いる」 with 「ある」, instead of a continuing action, it becomes a resultant state after the action has already taken place. Usually, this expression is used to explain that something is in a state of completion. The completed action also carries a nuance of being completed in preparation for something else. Since this grammar describes the state of a completed action, it is common to see the 「は」 and 「も」 particles instead of the 「を」 particle. A: How are the preparations? B: The preparations are already done. A: Are the plans for the trip complete? B: Uh huh, not only did I buy the ticket, I also took care of the hotel reservations. While 「～てある」 carries a nuance of a completed action in preparation for something else, 「～ておく」 explicitly states that the action is done (or will be done) with the future in mind. Imagine this: you have made a delicious pie and you’re going to place it on the window sill for it to cool so that you can eat it later. This image might help explain why the verb 「おく」 （置く）, meaning “to place”, can be used to describe a preparation for the future. (It’s just too bad that pies on window sills always seem to go through some kind of mishap especially in cartoons.) While 「置く」 by itself is written in kanji, it is customary to use hiragana when it comes attached to a conjugated verb (such as the te-form). Make dinner (in advance for the future). I’ll buy batteries (in advance for the future). 「ておく」 is also sometimes abbreviated to 「～とく」 for convenience. You can also use the motion verbs “to go” （行く）and “to come” （来る） with the te-form, to show that an action is oriented toward or from someplace. The most common and useful example of this is the verb 「持つ」 (to hold). While 「持っている」 means you are in a state of holding something (in possession of), when the 「いる」 is replaced with 「いく」 or 「くる」, it means you are taking or bringing something. Of course, the conjugation is the same as the regular 「行く」 and 「来る」. Do (you) have a pencil? Are (you) taking pencil to school? Are (you) bringing pencil to home? For these examples, it may make more sense to think of them as a sequence of actions: hold and go, or hold and come. Here are a couple more examples. Father came back home early. Went running toward the direction of station. The motion verbs can also be used in time expressions to move forward or come up to the present. Will try my hardest (toward the future) with all my might! Went out (up to the present) with various types of people but a good person hasn’t been found yet. Studied Japanese from way back before and eventually quit. It is very easy to combine a chain of nouns and adjectives to describe a person or object. For example, in English if we wanted to say, “He is X. He is Y. He is Z.” since all three sentences have the same noun, we would usually say, “He is X, Y, and Z.” In Japanese, we can do the same thing by conjugating the noun or adjective. The last noun or adjective remains the same as before. For nouns and na-adjectives: Attach 「で」 to the noun or na-adjective. For i-adjectives and negative noun/adjectives: Replace the 「い」 with 「くて」. ※For 「いい」 and 「かっこいい」, the 「い→よ」 exception applies here as well. My room is clean, quiet, and I like it a lot. She is not a student, she is a teacher. Tanaka-san is rich, handsome, and charming, isn’t he? As you can see, the 「で」 attached to 「お金持ち」 obviously cannot be the context particle 「で」 here because there is no verb. It might be helpful to think of 「で」 as merely a substitution for 「だ」 that can be chained together. In a similar fashion, you can express multiple actions. It is usually interpreted as a sequence of event. (I did [X], then I did [Y], then I finally did [Z].) There are two forms: positive and negative. The tense of all the actions is determined by the tense of the last verb. Positive: Conjugate the verb to its past tense and replace 「た」 with 「て」 or 「だ」 with 「で」. This is often called the te-form even though it could sometimes be ‘de’. Negative: Same as i-adjectives, replace 「い」 with 「くて」. This rule also works for the polite 「です」 and 「ます」 endings. I will go to cafeteria, eat lunch, and take a nap. I went to cafeteria, ate lunch, and took a nap. There was time and I watched a movie. You can connect two complete sentences using 「から」 to indicate a reason for something. The two sentences are always ordered [reason] から [result]. When the reason is a non-conjugated noun or na-adjective, you must add 「だ」 to explicitly declare the reason in the form of 「(noun/na-adjective)だから」. If you forget to add the declarative 「だ」 to 「から」, it will end up sounding like the 「から」 meaning “from” which was first introduced in the section on particles, earlier. There was no time so didn’t go to party. Either the reason or the result can be omitted if it is clear from the context. In the case of polite speech, you would treat 「から」 just like a regular noun and add 「です」. Tanaka-san: Why didn’t you go to the party? Yamada-san: It’s because I didn’t have time. Ichiro: You didn’t go to the party? Naoko: Yeah, because I didn’t have time. When you omit the reason, you must include the declarative 「だ」 or 「です」. Naoko: I didn’t have time. Ichiro: Is that why you didn’t go to the party? Notice that we could have also used the explanatory 「の」 to express the same thing. In other words, 山田さん could have also said, 「時間がなかったのです」 or 「時間がなかったんです」 while 直子 could have said 「時間がなかったの」 (we’ll assume she wants to use the more feminine form). In fact, this is where 「ので」 possibly came from. Let’s say you want to combine two sentences: 「時間がなかったのだ」 and 「パーティーに行かなかった」. Remember we can treat the 「の」 just like a noun so we can use what we just learned in the first section of this lesson. In fact, 「ので」 is almost interchangeable with 「から」 with a few subtle differences. 「から」 explicitly states that the sentence preceding is the reason for something while 「ので」 is merely putting two sentences together, the first with an explanatory tone. This is something I call causation where [X] happened, therefore [Y] happened. This is slightly different from 「から」 where [Y] happened explicitly because [X] happened. This difference tends to make 「ので」 sound softer and slightly more polite and it is favored over 「から」 when explaining a reason for doing something that is considered discourteous. Because I’m a little busy, I’ll be making my leave soon. Reminder: Don’t forget that the explanatory 「の」 requires a 「な」 for both non-conjugated nouns and na-adjectives. Review Particles 3 to see why. Because I’m a student, I have no money (lit: there is no money). It is very calm here because it is quiet. That’s why there’s no time to meet friend. Just like how the explanatory 「の」 can be shortened to 「ん」, in speech, the 「ので」 can be changed to 「んで」 simply because it’s easier to slur the sounds together rather than pronouncing the / o / syllable. Didn’t go to the party because there was no time. Grammatically, 「のに」 is used exactly the same way as 「ので」. When used to combine two simple sentences together, it means “[Sentence 1] despite the fact that [Sentence 2].” However the order is reversed: [Sentence 2]のに[Sentence 1]. Despite exercising every day, I didn’t get thinner. Despite being a student, she does not study. Used in the same manner as 「から」 and 「ので」, 「が」 and 「けど」 also connect two sentences together but this time to express a contradiction. Just like 「から」 the declarative 「だ」 is required for nouns and na-adjectives. And just like 「から」 and 「ので」, either part of the contradiction can be left out. I went to department store but there was nothing I wanted. I asked (or heard from) a friend but he (or I) didn’t know. I’m free today but I will be busy tomorrow. It may seem odd but 「聞く」 can either mean “to listen” or “to ask”. You may think this may become confusing but the meaning is usually clear within context. In the second example, we’re assuming that the friend didn’t know, so the speaker was probably asking the friend. Yet again we see the importance of context in Japanese because this sentence can also mean, “I heard from a friend but I didn’t know” since there is neither subject nor topic. Similar to the difference between 「ので」 and 「から」, 「が」 has a softer tone and is slightly more polite than 「けど」. Though this isn’t a rule as such, it is generally common to see 「が」 attached to a 「～ます」 or 「～です」 ending and 「けど」 attached to a regular, plain ending. A more formal version of 「けど」 is 「けれど」 and even more formal is 「けれども」, which we may see later when we cover formal expressions. Unlike the English word for contradiction such as “but” or “however”, 「けど」 and 「が」 do not always express a direct contradiction. Often times, especially when introducing a new topic, it is used as a general connector of two separate sentences. For example, in the following sentences, there is no actual contradiction but 「が」 and 「けど」 are used simply to connect the sentences. Sometimes, the English “and” becomes a closer translation than “but”. I went to the department store and there was a lot of good stuff. I watched the “Matrix” and it was interesting. When you want to list reasons for multiple states or actions you can do so by adding 「し」 to the end of each relative clause. It is very similar to the 「や」 particle except that it lists reasons for verbs and state-of-being. Again, for states of being, 「だ」 must be used to explicitly declare the state-of-being for any non-conjugated noun or na-adjective. Let’s look at some examples. A: Why isn’t (he/she) friend [seeking explanation]? A: Why (do you) like him? B: Because he’s kind, attractive, and interesting (among other things). Notice that 「優しくて、かっこよくて、面白いから。」 could also have worked but much like the difference between the 「と」 and 「や」 particle, 「し」 implies that there may be other reasons. This is the verb version of the 「や」 particle. You can make an example list of verbs among a possible larger list by conjugating each verb into the past tense and adding 「り」. At the end, you need to attach the verb 「する」. Just like the 「や」 particle, the tense is determined by the last verb, which in this case will always be 「する」 (since you have to attach it at the end). You can also use this with the state-of-being to say that you are a number of things at various random times among a larger list. Similar to regular verbs, you just take the noun or adjective for each state-of-being and conjugate it to the past state-of-being and then attach 「り」. Then finally, attach 「する」 at the end. For verbs: Conjugate each verb to the past tense and add 「り」. Finally, add 「する」 at the very end. For state-of-being: Conjugate the noun or adjective for each state-of-being to the past tense and add 「り」. Finally, add 「する」 at the very end. I do things like (among other things) watch movies, read books, and take naps. Class of this college is sometimes easy, sometimes difficult (and other times something else maybe). As you can see, the tense and negative/positive state is controlled by the last 「する」. I did things like (among other things) watch movies, and read books. I don’t do things like (among other things) watch movies, and read books. I didn’t do things like (among other things) watch movies, and read books. The question marker is covered here because it is primarily used to clearly indicate a question in polite sentences. While it is entirely possible to express a question even in polite form using just intonation, the question marker is often attached to the very end of the sentence to indicate a question. The question marker is simply the hiragana character 「か」 and you don’t need to add a question mark. For previously explained reasons, you must not use the declarative 「だ」 with the question marker. Tanaka-san: Where is (your) mother? Suzuki-san: (My) mother went shopping. Kim-san: Go to eat Italian food? Suzuki-san: Sorry. (My) stomach is a little full. Here the question is actually being used as an invitation just like how in English we say, “Won’t you come in for a drink?” 「すみません」 is a polite way of apologizing. Slightly less formal is 「ごめんなさい」 while the casual version is simply 「ごめん」. It makes sense to conclude that the question marker would work in exactly the same way in casual speech as it does in polite speech. However, this is not the case. The question marker 「か」 is usually not used with casual speech to make actual questions. It is often used to consider whether something is true or not. Depending on the context and intonation, it can also be used to make rhetorical questions or to express sarcasm. It can sound quite rough so you might want to be careful about using 「か」 for questions in the plain casual form. Do you think [he/she] will really eat this type of thing? Do I look like I would have something like that?! Instead of 「か」, real questions in casual speech are usually asked with the explanatory の particle or nothing at all except for a rise in intonation, as we have already seen in previous sections. Are you really going to eat something like this? Do you have something like that? Another use of the question marker is simply grammatical and has nothing to do with the politeness. A question marker attached to the end of a relative clause makes a mini-question inside a larger sentence. This allows the speaker to talk about the question. For example, you can talk about the question, “What did I eat today?” In the following examples, the question that is being considered is in red. Forgot what I ate yesterday. Don’t understand what he said. Won’t you inform me whether teacher went to school? In sentences like example 3 where the question being considered has a yes/no answer, it is common (but not necessary) to attach 「どうか」. This is roughly equivalent to saying, “whether or not” in English. You can also include the alternative as well to mean the same thing. Don’t know whether or not teacher went to school. Don’t know whether teacher went to school or didn’t. While we’re on the topic of questions, this is a good time to go over question words (where, who, what, etc.) and what they mean in various contexts. Take a look at what adding the question marker does to the meaning of the words. As you can see by the following examples, you can treat these words just like any regular nouns. Someone ate all the delicious cookies. Doesn’t anybody know who stole it? Did you see the criminal somewhere? (Explaining) You are to select a certain one from inside this (selection). The same question words in the chart above can be combined with 「も」 in a negative sentence to mean “nobody” （誰も）, “nothing” （何も）, “nowhere” （どこも）, etc. The remaining three words 「いつも」 (meaning “always”) and 「どれも」 (meaning “any and all”), and 「どこも」 (meaning everywhere) can be used in both negative and positive sentences. Nobody knows the answer of this question. Any and all restaurants that are here are not tasty. Anybody understands the answer of this question. About lunch, anywhere is good. That person really eats anything. Not only is it important to use the right type of language with the right people, it is also important to address them by the right name. It is also important to address yourself with the proper level of politeness. Japanese is special in that there are so many ways of saying the simple words, “I” and “you”. We will go over some of ways to refer to yourself and others. There are many ways to say “I” in Japanese. Some of these words are not as common and others are hopelessly outdated. We will go over the most common ones that are in use today. The usages of all the different words for “I” is separated into two categories: gender and politeness. In other words, there are words that are usually used by males and words that are usually only used by females and they all depend on the social context. Before going into this: a note about the word 「私」. The official reading of the kanji is 「わたくし」. This is the reading you use in a formal context (for example, a speech by the president of a company). This reading will probably be accompanied with honorific and humble forms, which we will cover later. In all other situations, it is usually read as 「わたし」. This is the most generic reference to “I” in terms of politeness and gender; therefore it is usually one of the first words taught to students of Japanese. 私 【わたくし】 – Used by both males and females for formal situations. 私 【わたし】 – Used by both males and females for normal polite situations. 僕 【ぼく】 – Used primarily by males from fairly polite to fairly casual situations. 俺 【おれ】 – A very rough version of “I” used almost exclusively by males in very casual situations. あたし – A very feminine and casual way to refer to oneself. Many girls have decided to opt for 「わたし」 instead because 「あたし」 has a cutesy and girly sound. One’s own name – Also a very feminine and kind of childish way to refer to oneself. わし – Usually used by older men well in their middle-ages. Let’s see how different types of sentences use the appropriate version of “I”. 「わたくし」 is left out because we have yet to go over very formal grammatical expressions. Japanese does not require the use of “you” nearly as much as English does. I hope that the examples with Bob, Alice, and Jim have shown that people refer to other people by their names even when they are directly addressing that person. Another common way to address people is by their title such as 「社長」、「課長」、「先生」, etc. The word 「先生」 is used to generally mean any person who has significant knowledge and expertise in something. For example, people usually use 「先生」 when directly addressing doctors or teachers (obviously). You can also include the person’s last name such as 「田中先生」 (teacher Tanaka). In the case where your relationship with the person doesn’t involve any title, you can use their name (usually their last name) attached with 「さん」 to show politeness. If calling them by their last name seems a little too polite and distant, the practice of attaching 「さん」 to their first name also exists. More endearing and colloquial versions of 「さん」 include 「くん」 and 「ちゃん」. 「くん」 is usually attached to the name of males who are of equal or lower social position. (For example, my boss sometimes calls me 「キムくん」). 「ちゃん」 is a very endearing way to refer to usually females of equal or lower social position. Please do not use 「あなた」 just like you would use the word “you” in English. In directly addressing people, there are three levels of politeness: 1) Using the person’s name with the appropriate suffix, 2) Not using anything at all, 3) Using 「あなた」. In fact, by the time you get to three, you’re dangerously in the area of being rude. Most of the time, you do not need to use anything at all because you are directly addressing the person. Constantly pounding the listener with “you” every sentence sounds like you are accusing the person of something. 「あなた」 is also an old-fashioned way for women to refer to their husband or lover. Unless you are a middle-aged women with a Japanese husband, I doubt you will be using 「あなた」 in this fashion as well. Here is a list of some words meaning “you” in English. You will rarely need to use any of these words, especially the ones in the second half of the list. あなた – Generally only used when there is no way to physically address the person or know the person’s name. For example, direct questions to the reader on a form that the reader must fill out would use 「あなた」. 君【きみ】 – Can be a very close and assuming way to address girls (especially by guys). Can also be kind of rude. お前【お・まえ】 – A very rough and coarse way to address someone. Usually used by guys and often changed to 「おめえ」. あんた – A very assuming and familiar way to address someone. The person using this is maybe miffed off about something. 手前【て・めえ】 – Very rude. Like 「お前」, to add extra punch, people will usually say it like, 「てめ～～」. Sounds like you want to beat someone up. I’ve only seen this one used in movies and comic books. In fact, if you try this on your friends, they will probably laugh at you and tell you that you’ve probably been reading too many comic books. 貴様【き・さま】 – Very, very rude. Sounds like you want to take someone out. I’ve also only seen this one used in comic books. I only go over it so you can understand and enjoy comic books yourself! You can use 「彼」 and 「彼女」 for “he” and “she” respectively. Notice that 「彼」 and 「彼女」 can also mean “boyfriend” and “girlfriend”. So how can you tell which meaning is being used? Context, of course. For example, if someone asks, 「彼女ですか？」 the person is obviously asking if she is your girlfriend because the question, “Is she she?” doesn’t make any sense. Another less commonly used alternative is to say 「ガールフレンド」 and 「ボーイフレンド」 for, well, I’m sure you can guess what they mean. Referring to family members is a little more complicated than English. (It could be worse, try learning Korean!) For the purpose of brevity, (since this is a grammar guide and not a vocabulary guide) we will only go over the immediate family. In Japanese, you refer to members of other people’s family more politely than your own. This is only when you are talking about members of your own family to others outside the family. For example, you would refer to your own mother as 「母」 to people outside your family but you might very well call her 「お母さん」 at home within your own family. There is also a distinction between older and younger siblings. The following chart list some of the most common terms for family members. There may also be other possibilities not covered in this chart. The Japanese we have learned so far is all well and good if you’re 5-years old. Unfortunately, adults are expected to use a politer version of the language (called 丁寧語) when addressing certain people. People you will probably use 丁寧語 with are: 1) people of higher social rank, and 2) people you are not familiar with. Deciding when to use which language is pretty much a matter of “feel”. However, it is a good idea to stick with one form for each person. Later (probably much later), we will learn an even politer version of the language called honorific （尊敬語） and humble （謙譲語） form. It will be more useful than you may think because store clerks, receptionists, and such will speak to you in those forms. But for now, let’s concentrate on just 丁寧語, which is the base for 尊敬語 and 謙譲語. Fortunately, it is not difficult to change casual speech to polite speech. There may be some slight changes to the vocabulary (for example, “yes” and “no” become 「はい」 and 「いいえ」 respectively in polite speech), and very colloquial types of sentence endings are not used in polite speech. (We will learn about sentence endings in a later section.) Essentially, the only main difference between polite and casual speech comes at the very end of the sentence. You cannot even tell whether a person is speaking in polite or casual speech until the sentence is finished. In order to conjugate all u-verbs and ru-verbs into their respective polite forms, we will first learn about the stem of verbs. This is often called the masu-stem in Japanese textbooks but we will call it just the stem because it is used in many more conjugations than just its masu-form. The stem is really great because it’s very easy to produce and is useful in many different types of grammar. For u-verbs: The last vowel sound changes from an / u / vowel sound to an / i / vowel sound. The stem when used by itself can be a very specialized and limited way of creating nouns from verbs. While the 「の」 particle allows you to talk about verbs as if they were nouns, the stem actually turns verbs into nouns. In fact, in very rare cases, the stem is used more often than the verb itself. For example, the stem of 「怒る」（いかる） is used more often than the verb itself. The movie, “Fists of Fury” is translated as 「怒りの鉄拳」 and not 「怒る鉄拳」. In fact, 「怒る」 will most likely be read as 「おこる」, a completely different verb with the same meaning and kanji! There are a number of specific nouns (such as 「休み」) that are really verb stems that are used like regular nouns. However, in general we cannot take any verb and make it into a noun. For example, the following sentence is wrong. However, a useful grammar that works in general for stems of all verbs is using the stem as a target with a motion verb (almost always 「行く」 and 「来る」 in this case). This grammar means, “to go or to come to do [some verb]”. Here’s an example. 明日、映画を見に行く。- Tomorrow, go to see movie. 「見に」 is the stem of 「見る」 （which is 見） combined with the target particle 「に」. The motion target particle 「へ」 sounds like you’re literally going or coming to something while the 「に」 particle implies that you are going or coming for the purpose of doing something. Yesterday, friend came to play. The expression 「楽しみにする」 meaning “to look forward to” is formed from grammar similar to this but is a special case and should be considered a set expression. Other verbs are also sometimes attached to the stem to create new verbs. For example, when 「出す」 is attached to the stem of 「走る」, which is 「走り」, you get 「走り出す」 meaning “to break out into a run”. Other examples include 「切り替える」, which means “to switch over to something else”, and 「付け加える」, which means “to add something by attaching it”. You can see how the separate meanings of the two verbs are combined to create the new combined verb. For example, 「言い出す」 means “to start talking”, combining the meaning, “to speak” and “to bring out”. There are no general rules here, you need to just memorize these combined verbs as separate verbs in their own right. Things that are written in a formal context such as newspaper articles also use the stem as a conjunctive verb. We will come back to this later in the formal expression lesson. Of course, the reason I introduced the verb stem is to learn how to conjugate verbs into their polite form… the masu-form! The masu-form must always come at the end of a complete sentence and never inside a modifying relative clause. When we learn compound sentences, we will see that each sub-sentence of the compound sentence can end in masu-form as well. To conjugate verbs into the masu-form, you attach different conjugations of 「ます」 to the stem depending on the tense. Here is a chart. You know, met Bob last week. About not interesting movies, do not see (them). For any sentence that does not end in a ru-verb or u-verb, the only thing that needs to be done is to add 「です」 or 「でした」. You can also do this for substituted nouns (both 「の」 and 「ん」) by just treating them like regular nouns. Another important thing to remember is that if there is a declarative 「だ」, it must be removed. In being polite, I guess you can’t be so bold as to forwardly declare things the way 「だ」 does. Just like the masu-form, this must also go at the end of a complete sentence. Here is a chart illustrating the conjugations. ※ Notice in the case of noun/na-adjective only, the past tense becomes 「でした」. A very common mistake is to do the same for i-adjectives. Remember 「かわいいでした」 is wrong! It was that there was no time yesterday. That room is not very quiet. Movie saw last week was very interesting. I have heard on a number of occasions that the negative non-past conjugation as given here is not an “officially” correct conjugation. Instead what’s considered to be a more “correct” conjugation is to actually replace the 「ないです」 part with 「ありません」. The reasoning is that the polite negative form of the verb 「ある」 is not 「ないです」 but 「ありません」. Therefore, 「かわいくない」 actually becomes 「かわいくありません」 and 「静かじゃない」 becomes 「静かじゃありません」. The reality of today’s Japanese is that what’s supposed to be the “official” conjugation sounds rather stiff and formal. In normal everyday conversations, the conjugation presented here will be used almost every time. While you should use the more formal conjugations for written works using the polite form, you’ll rarely hear it in actual speech. In conclusion, I recommend studying and becoming familiar with both types of conjugations. You know, that room is not very quiet. Many of you who have taken Japanese classes have probably been taught that 「です」 is the polite version of 「だ」. However, I want to point some several key differences here and the reasons why they are in fact completely different things. 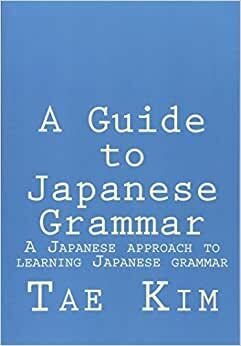 It is impossible to fully explain the reasons why they are fundamentally different without discussing grammar that have yet to be covered so I would like to target this toward those who have already started learning Japanese and have been incorrectly misinformed that 「だ」 is the casual version of 「です」. For the rest of you new to this, you can easily skip this part. The first 「そう」 is the implied state-of-being and 「そうだ」 is the declarative. As I’ve stated before, the non-assuming soft spoken 「そう」 is often used by females while the more confident 「そうだ」 is often used by males. 「そうです」 is the polite version of 「そう」, created by attaching 「です」 to the noun. 「そうです」 is not the polite version of 「そうだ」 where the 「だ」 is replaced by 「です」 and I’ll explain why. As I’ve explained before, the 「だ」 is used to declare what one believes to be a fact. Therefore, 「そうだか？」 is not a valid way to ask a question because it is declaring a fact and asking a question at the same time. But the fact that 「そうですか」 is a valid question shows that 「です」 and 「だ」 are essentially different. 「そうです」, in showing respect and humbleness, is not as assertive and is merely the polite version of 「そう」. I think that is so. 「そうだと思います」 is valid while 「そうですと思います」 is not because 「です」 can only go at the end of the sentence. 「です」 can only be in a relative clause when it is a direct quote of what someone said such as the following. In conclusion, replacing 「です」 with 「だ」, thinking one is the polite equivalent of the other or vice-versa will potentially result in grammatically incorrect sentences. It is best to think of them as totally separate things (because they are). We have learned the basic foundation of the Japanese language. Now that we have a general knowledge of how Japanese works, we can now extend that by learning specific grammar for various situations. This section will go over what is considered to be essential grammar for basic practical Japanese. You will begin to see fewer literal translations in order to emphasize the new grammar now that you (should) have a good understanding of the basic fundamental grammar. For example, in sentences where the subject has not been specified, I might simply specify the subject in the translation as ‘he’ even though it may very well be “we” or “them” depending on the context. This section starts with transforming what we have learned so far into a more unassuming and politer form. In any language, there are ways to word things differently to express a feeling of deference or politeness. Even English has differences such as saying, “May I…” vs “Can I…”. You may speak one way to your professor and another way to your friends. However, Japanese is different in that not only does the type of vocabulary change, the grammatical structure for every sentence changes as well. There is a distinct and clear line differentiating polite and casual types of speech. On the one hand, the rules clearly tell you how to structure your sentences for different social contexts. On the other hand, every sentence you speak must be conjugated to the proper level of politeness. In section 3, we will cover the polite version of Japanese, which is required for speaking to people of higher social position or to people you are unfamiliar with. This section will then continue to cover the most useful major types of grammar in Japanese. For this reason, we will learn the most common conjugations such as the te-form, potential, conditional, and volitional. The latter sections are in no particular order and neither does it need to be. The grammar that is presented here is essential which means that you have to learn it all anyway and learn them well. Expressing "must" or "have to"